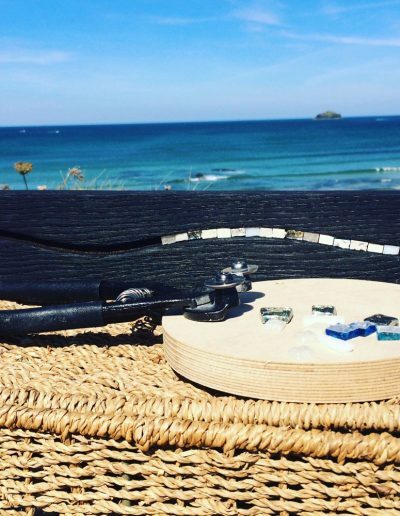 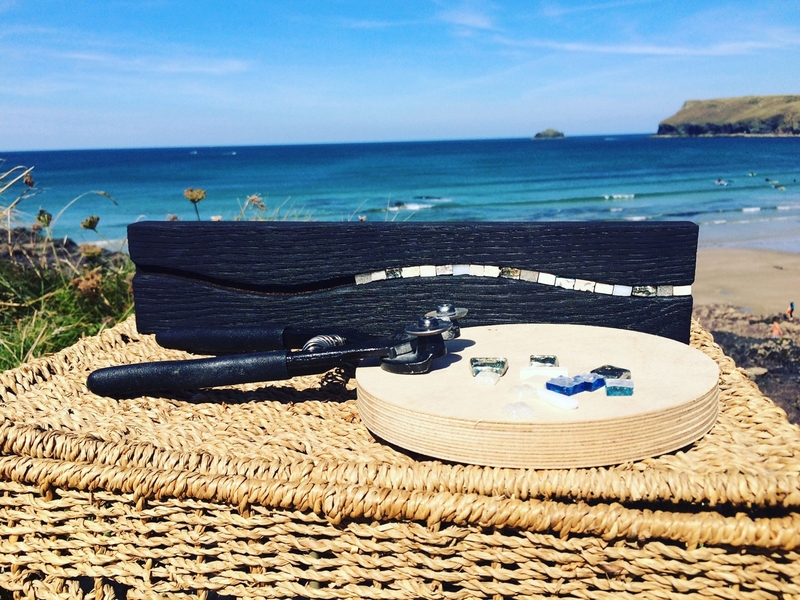 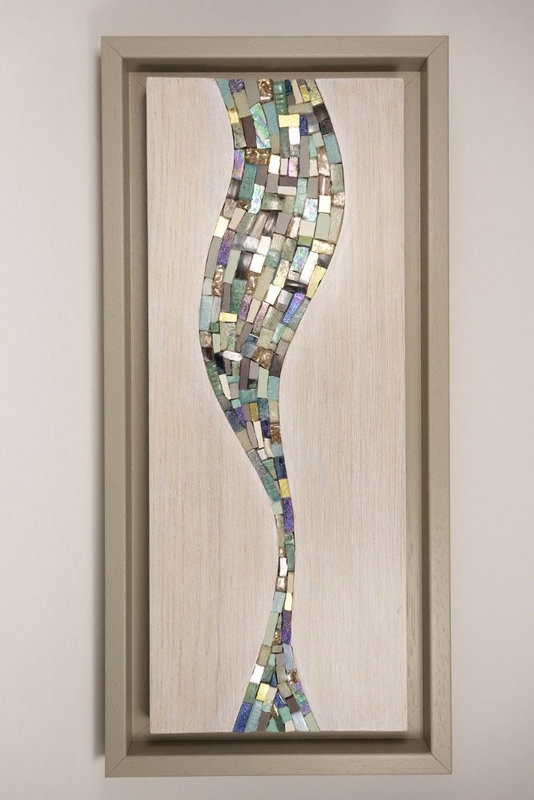 NV Mosaics is a West country based mosaic artist who gains much inspiration for her artwork from the South West coasts. 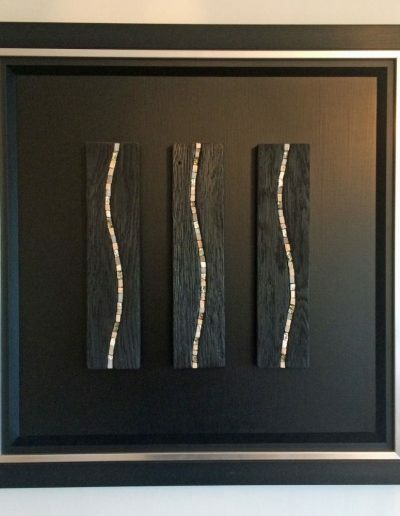 Her work strives to represent the natural beauty of Devon and Cornwall’s coastlines in an abstract form. 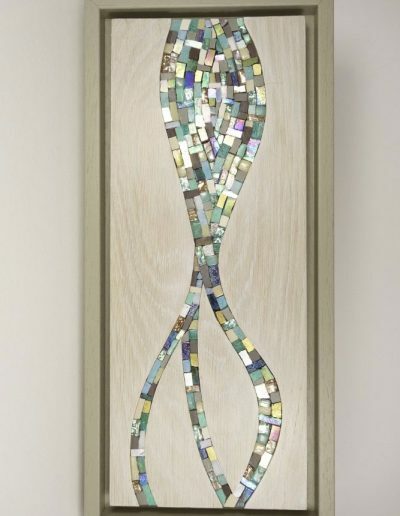 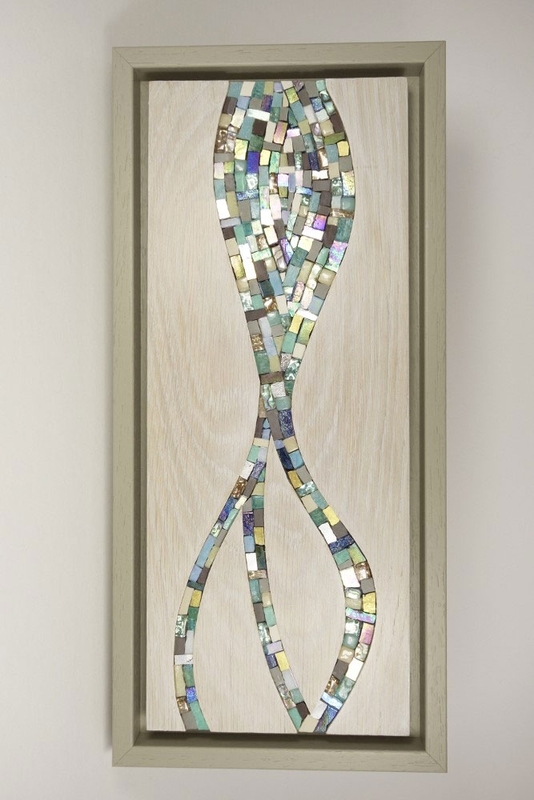 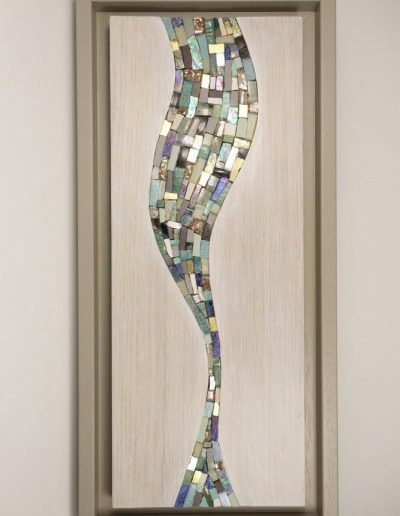 Her mosaics are inspired by many hours walking and photographing coastal locations throughout these regions. 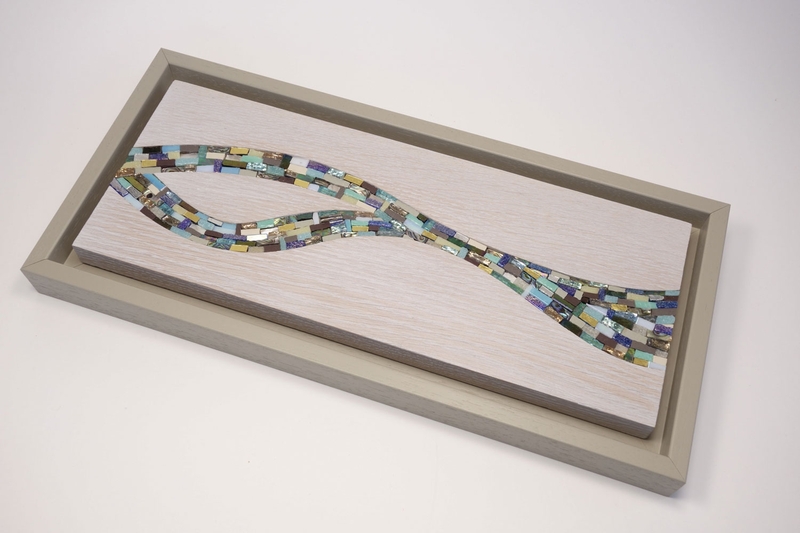 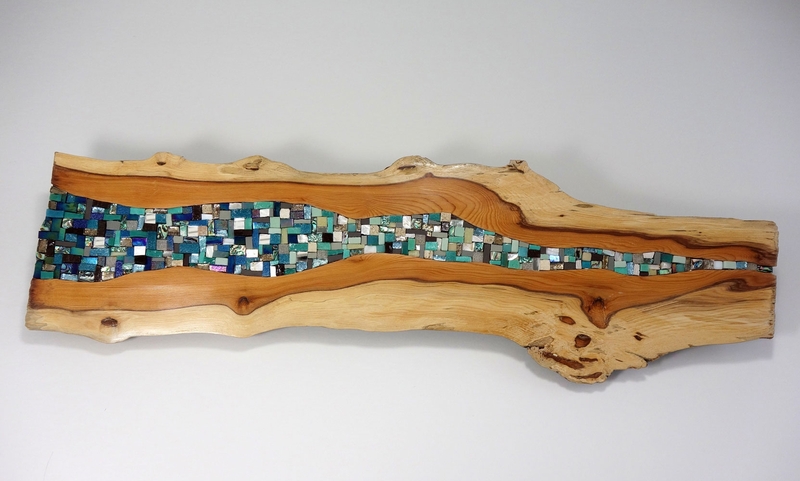 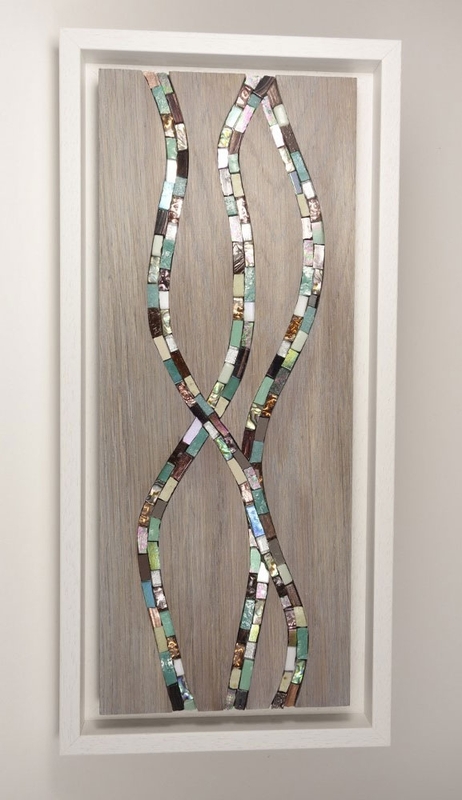 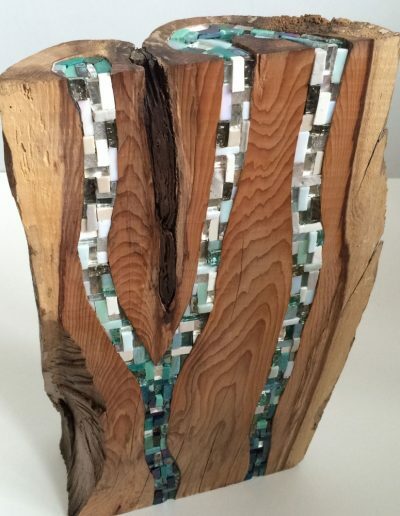 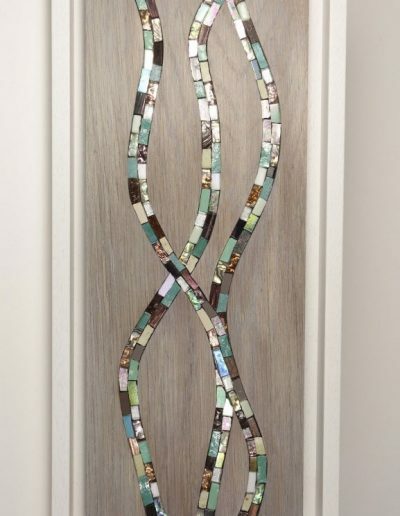 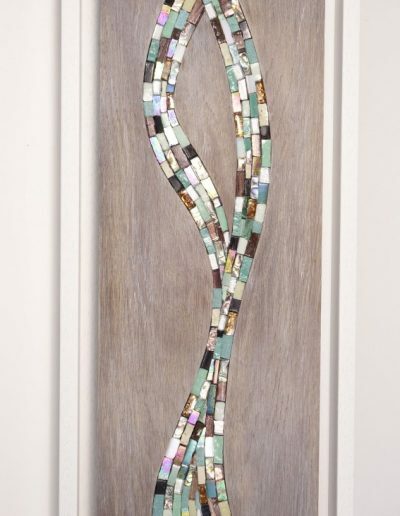 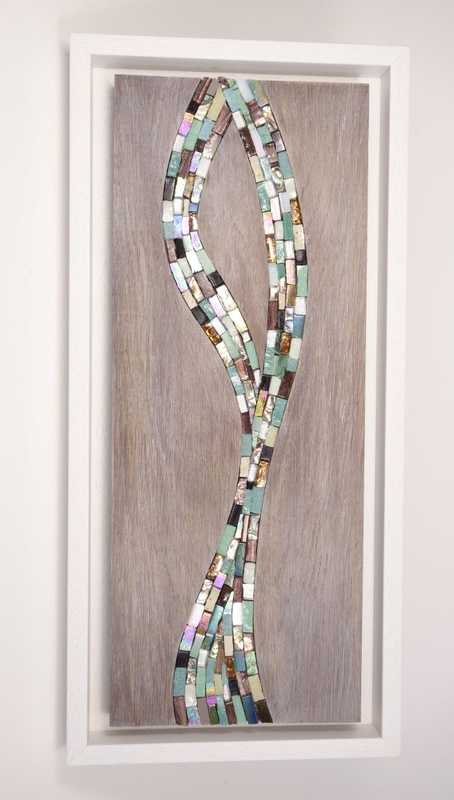 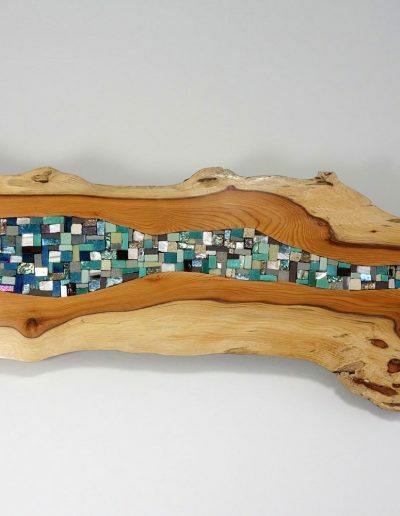 She imbeds mosaic abstract patterns into chosen pieces of wood which endeavour to capture the ever changing colours and textures of estuaries and coastlines. 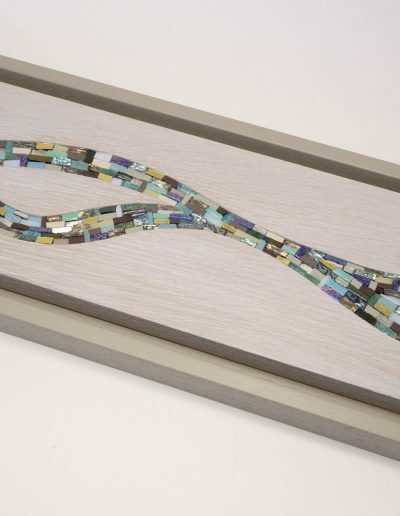 Each piece of tesserae is cut with precision, negating the need for grout. 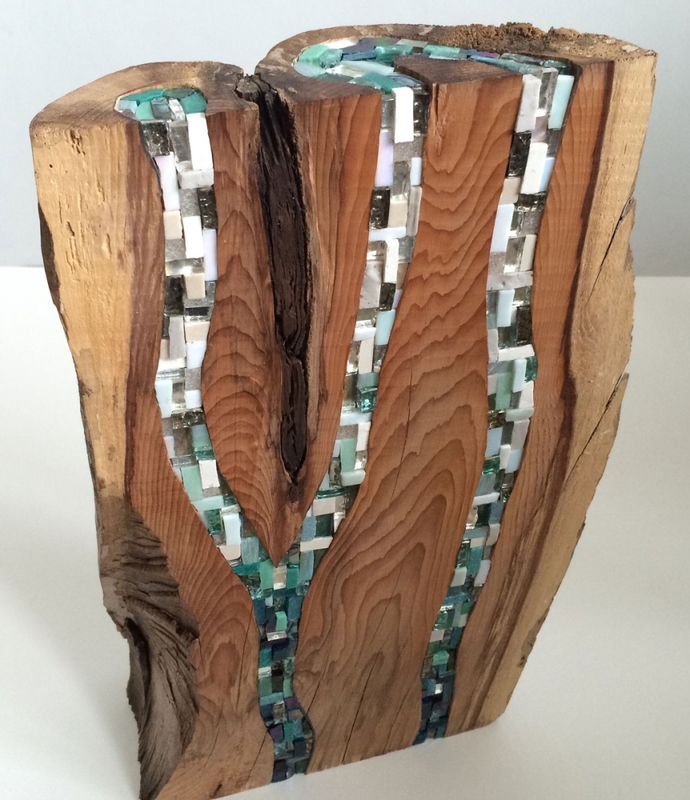 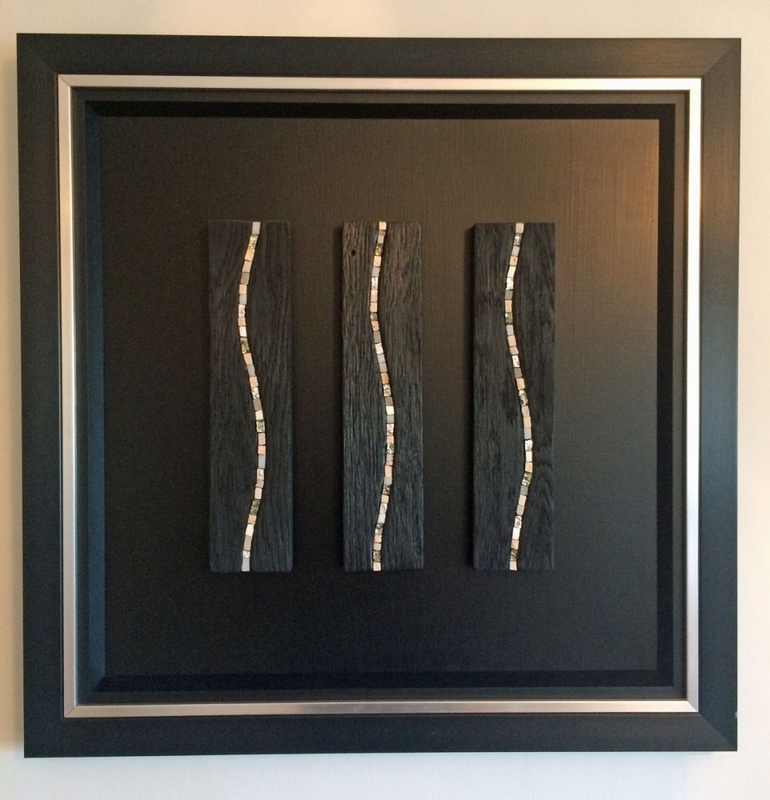 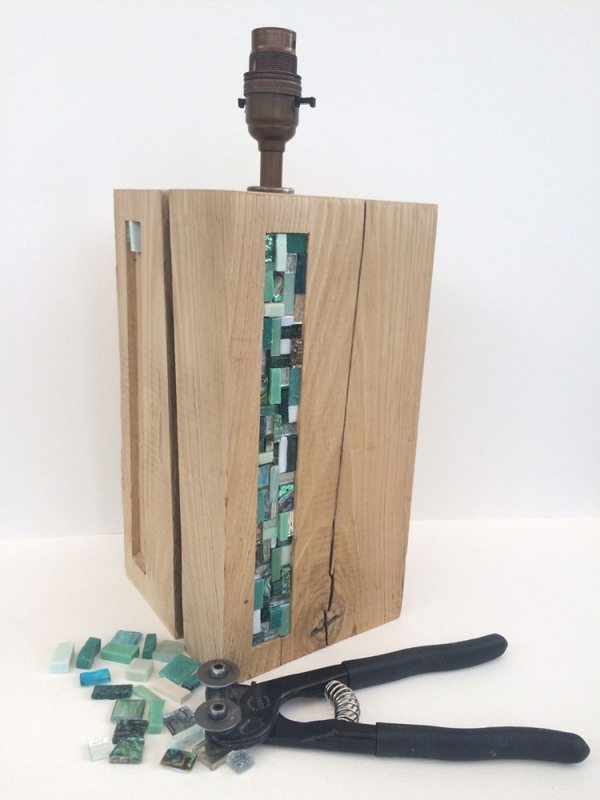 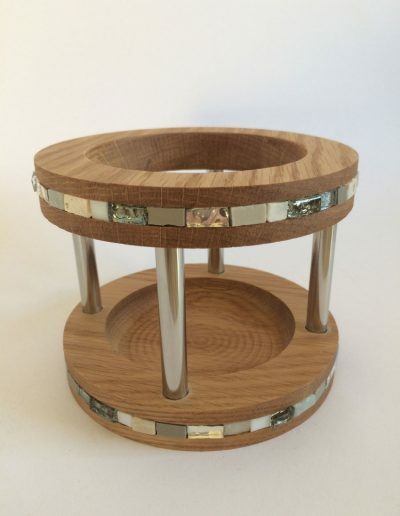 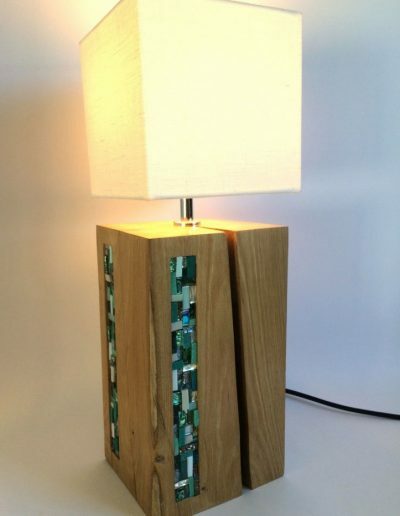 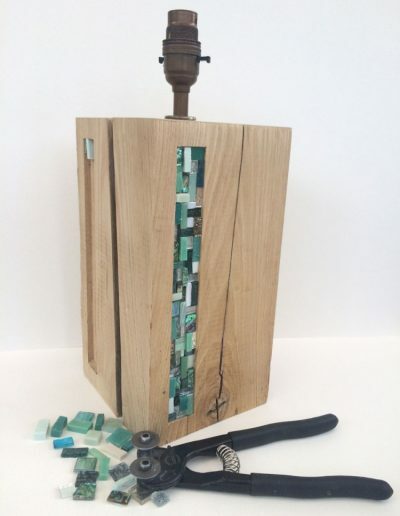 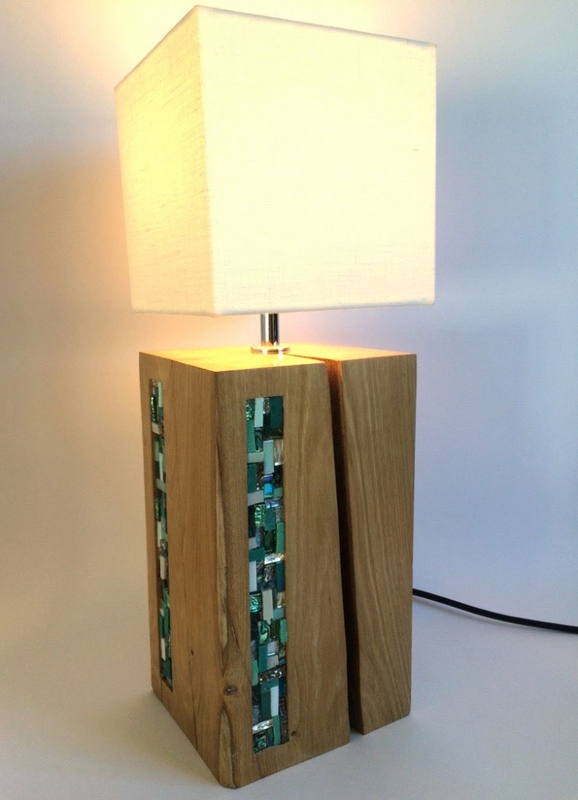 Her choice of tesserae embodies a carefully considered balance of form, colour and texture, giving each piece depth and special iridescent qualities.